LOTUS! A RARE find, END unit, 2 SPACIOUS Bdrms , 2 Full bath up + "FAMILY ROOM" on Main floor (may function as Office , kids play area, etc) Sunny and bright exposure. Kitchen features GRANITE counters, shaker -style cabinets, stainless steel appliances. Tandem Garage, with DOOR and WINDOW!! 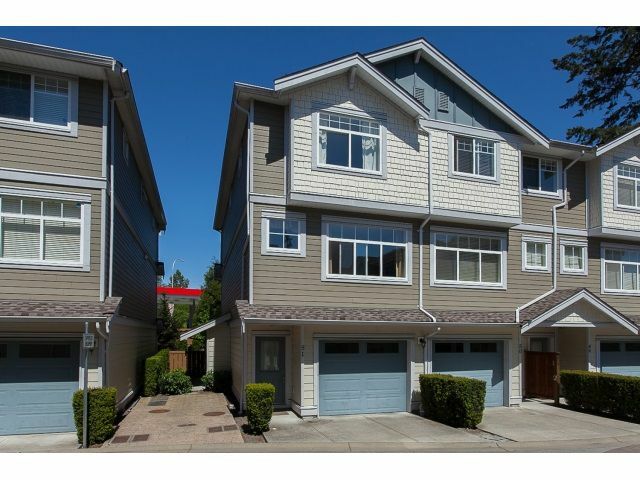 Conveniently located, walk to Elementary school, transit to Sky train, Fleetwood rec centre and other amenities.